Backing Track Player Pedal MP3 – WAV developed with a retro feel by musicians for musicians. BakTrak makes playing backing tracks live or for practise easy. 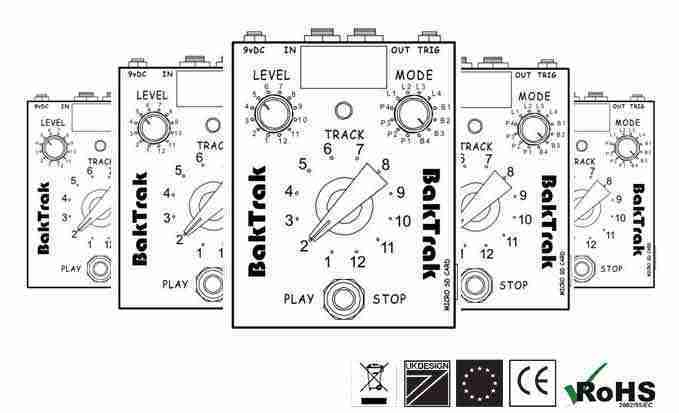 BakTrak is a backing track player pedal for MP3 & WAV that has been developed with a retro feel by musicians for musicians. It has a track selector that’s so simple even when you are wishing you had practiced with the pedal just one more time, don’t worry, you just can’t get it wrong!! BakTrak comes with a simple guide telling you that your backing tracks are held on a memory card, you can setup the output volume and choose one of three modes to play your MP3 & WAV tracks in … hit the foot switch and you are rocking. BakTrak also comes with a set of demo tracks to get you up and working instantly.